Beer and gelato, a dessert combination you think would never work. 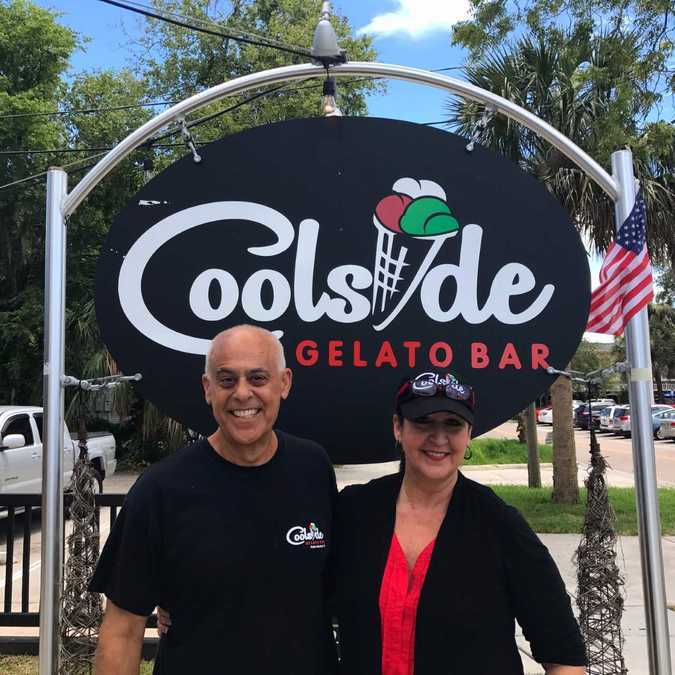 Coolside Gelato Bar in downtown Palm Harbor has trademarked the infamous ‘Beerlato’ and it has made quite a name for itself. “We basically take our homemade gelato and make it a float with local beer. It’s delicious,” said Leila Barbara, co-owner of Coolside Gelato. Leila and her husband Mario have been creating Beerlatos at Coolside for several years now and it’s become a dessert hotspot in the Tampa Bay area. “It’s like having a root beer float without the root! We’re grownups now, so why not have a good time with it,” said Mario. When you first arrive, you get to pick a cold and refreshing local beer. You can then choose your own gelato, or Coolside will pair your beer with gelato they think will taste best. If wine is more your thing, you can also try the Hakuna Moscato Gelato, which is equally delicious. Coolside Gelato Bar is open Tuesday - Sunday at 1124 11th Street in Palm Harbor, Florida.